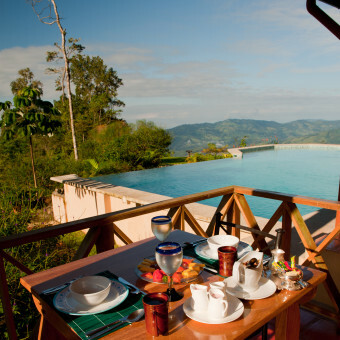 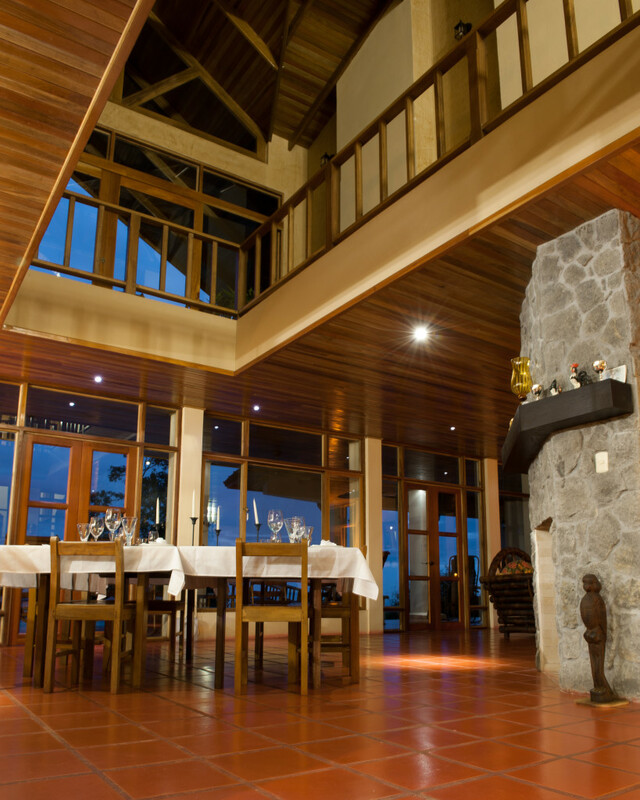 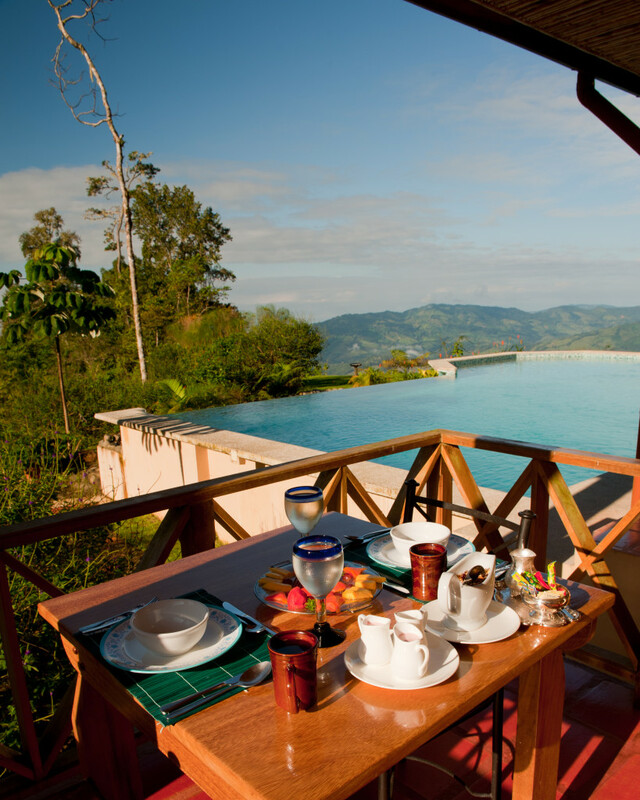 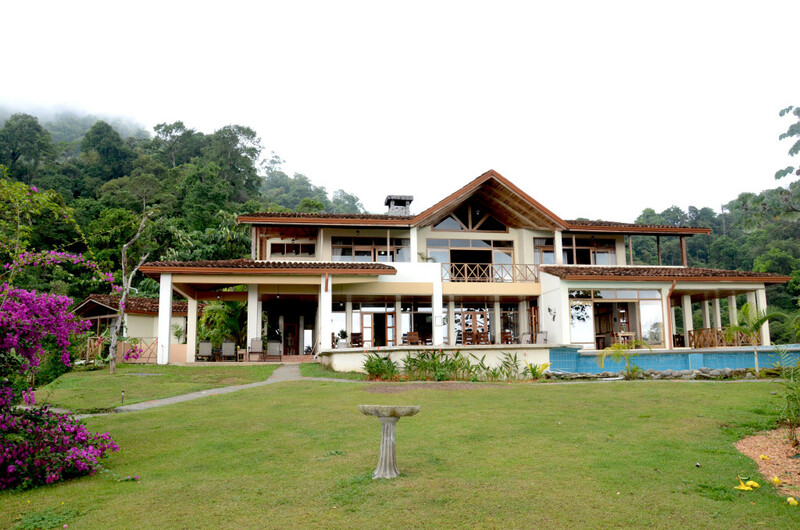 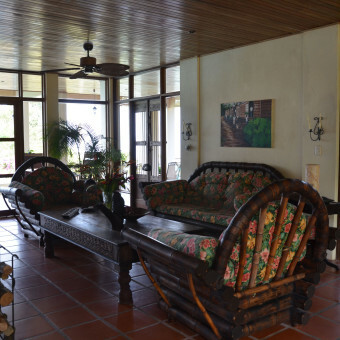 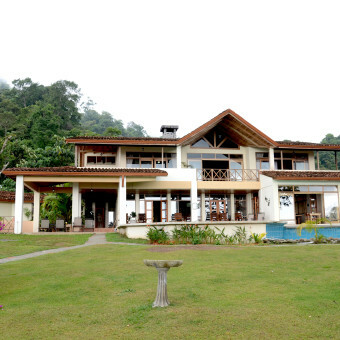 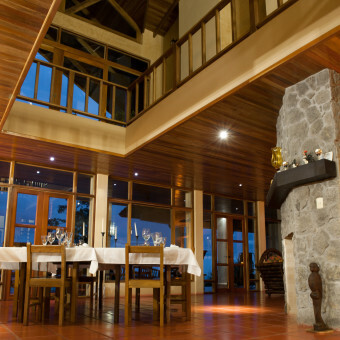 A jungle ecolodge and coffee plantation, naturalist and birding destination, situated on a 280 acre property of mountain rainforest overlooking Costa Rica's southern Pacific Ocean near Playa Dominical. 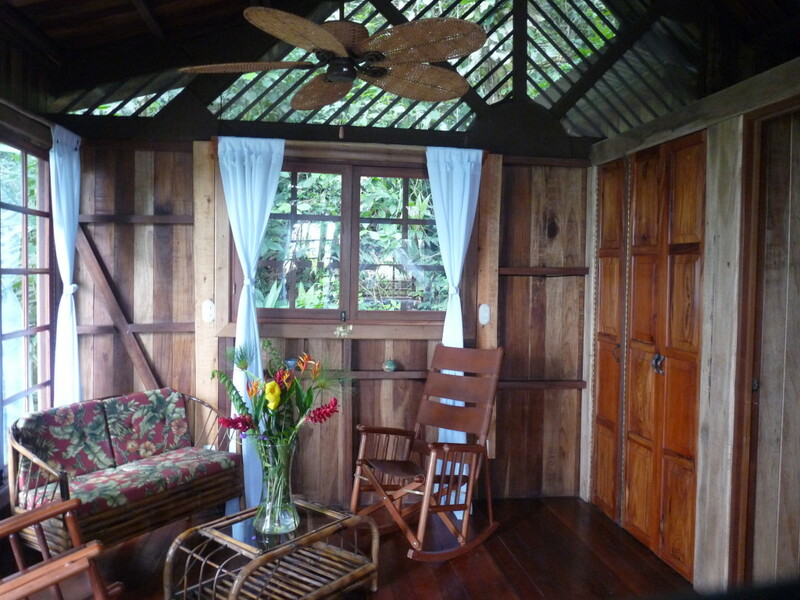 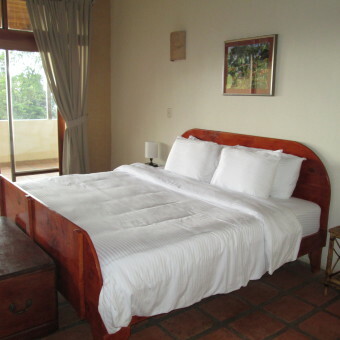 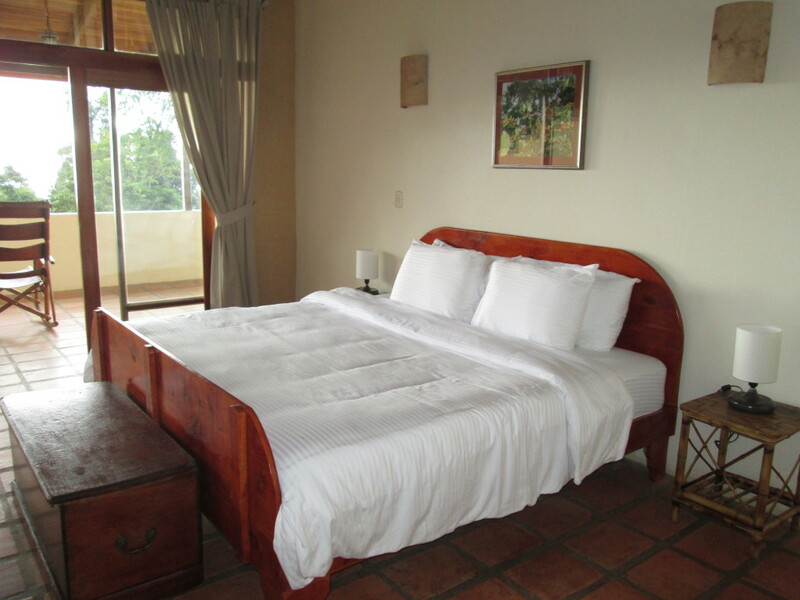 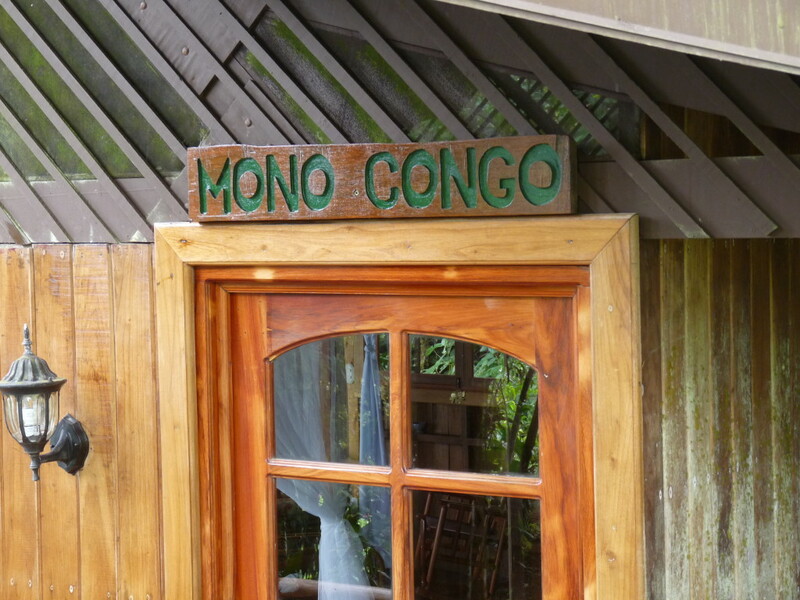 Experience an exciting combination of comfortable accommodations set in primitive surroundings. 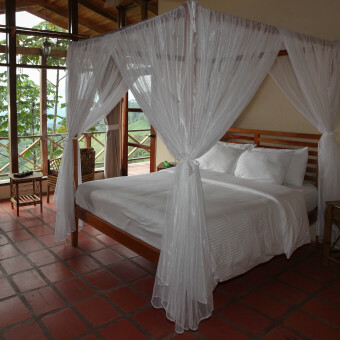 Imagine waking up in silky white linens listening to the sounds from the jungle! 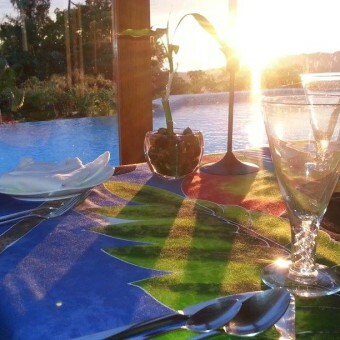 Dining is a wonderful gourmet experience, "elegant", "relaxed" and "delicious". 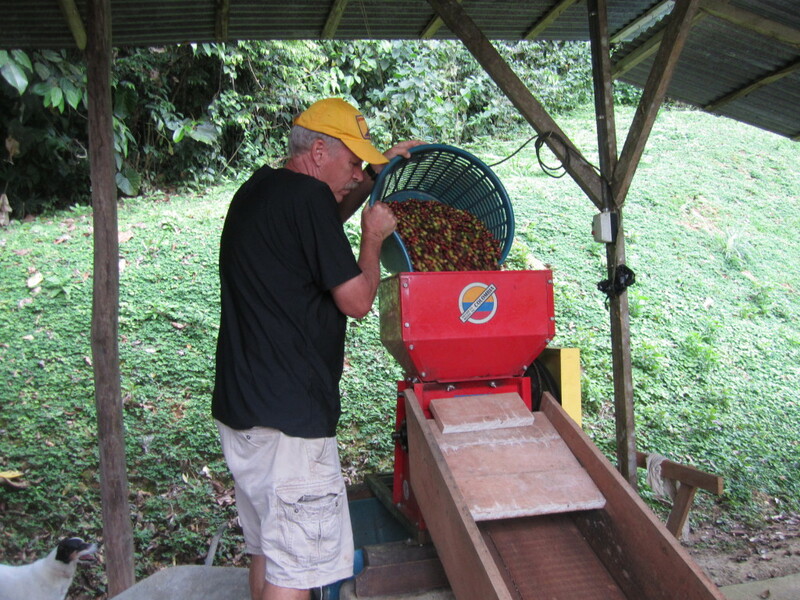 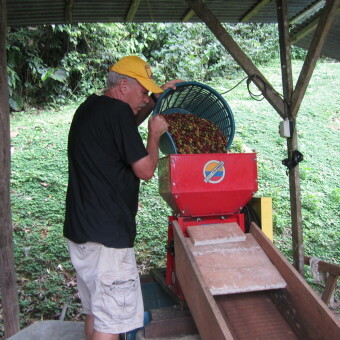 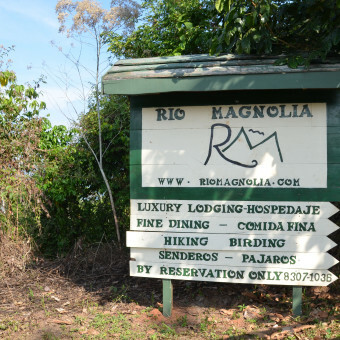 Río Magnolia is a jungle ecolodge and coffee farm situated on a 280 acre property of mountain rainforest overlooking Costa Rica’s southern Pacific Ocean near Playa Dominical. 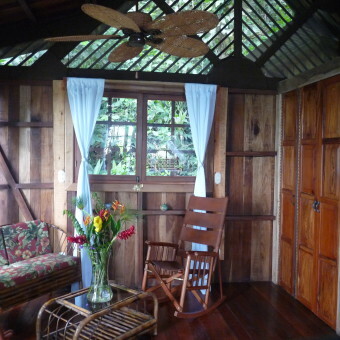 Experience an exciting combination of comfortable accommodations set in primitive surroundings. 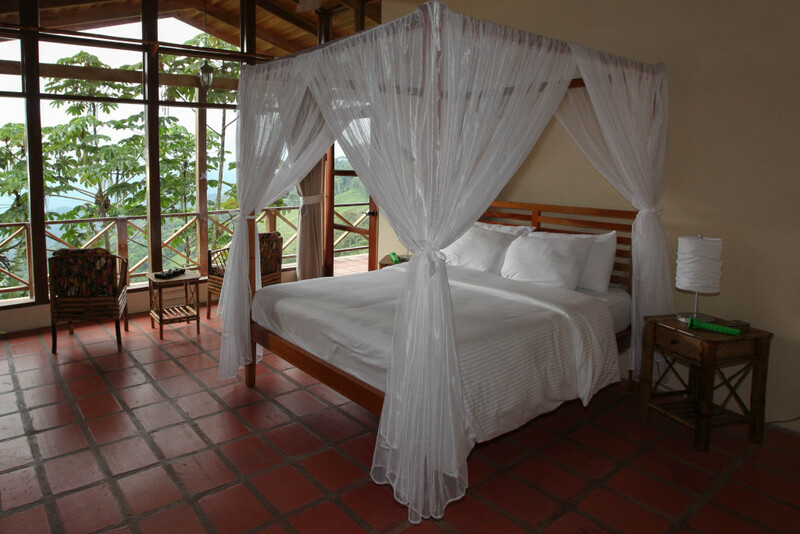 Imagine waking up in silky white linens listening to the sounds from the jungle! 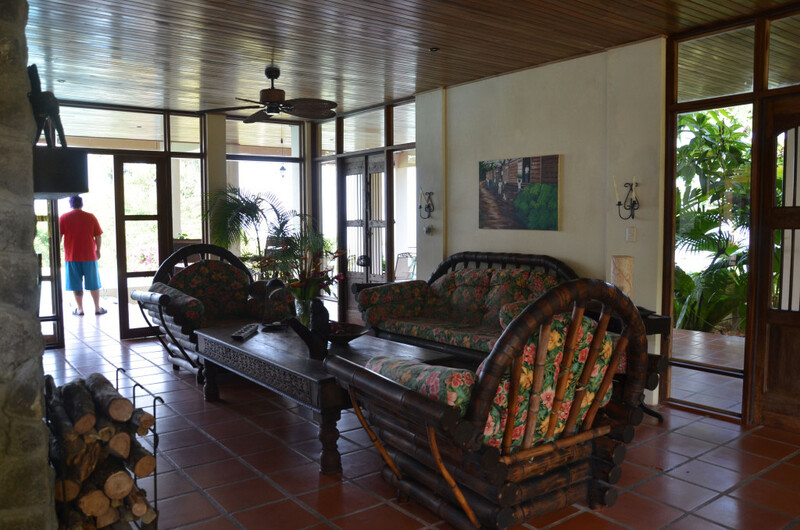 Dining is a wonderful experience at Magnolia House, “elegant” and “relaxed”. 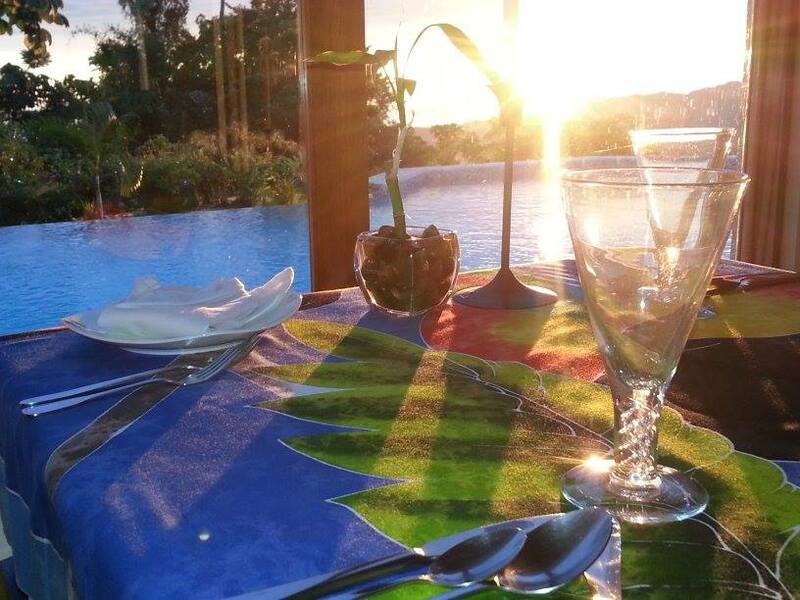 Breakfast, lunch and dinner are available daily and breakfast is included in the rates. 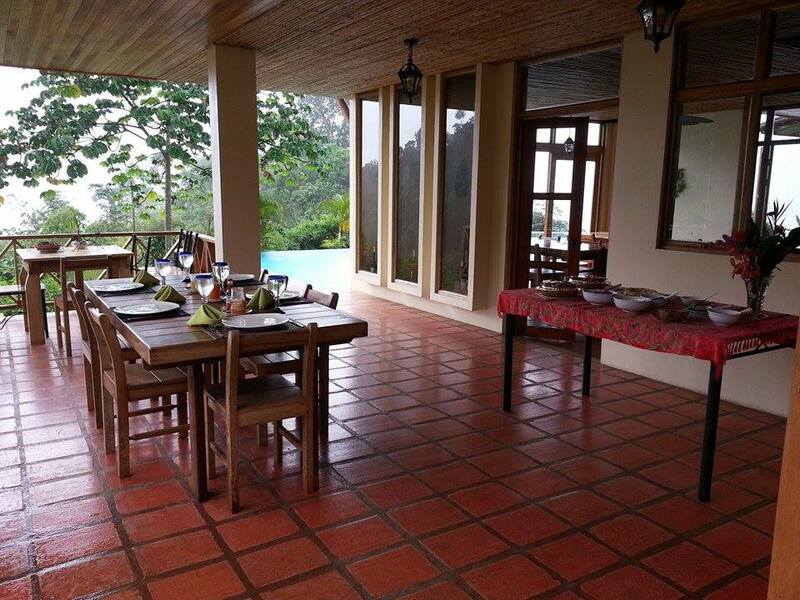 Breakfast is your choice with fresh fruit and granola always available. 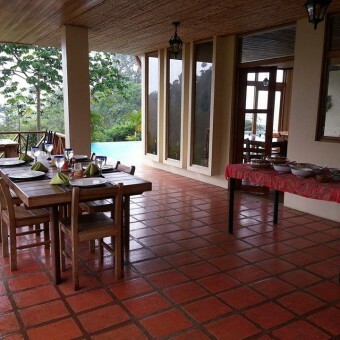 Lunch is from a small menu and menu for dinner is prepared daily using the freshest ingredients. 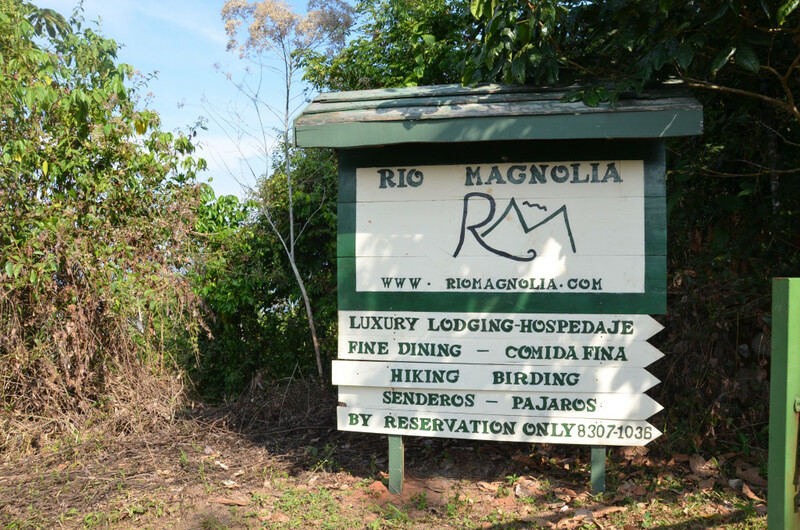 There is always lots to do at Rio Magnolia, any time of the year; hiking in the primary forest, coffee farm and processing tour, bird watching, sliding down the natural waterslide in the river, walking along the roads, swimming in the large infinity pool, or relaxing with a book and binoculars on one of the many covered terraces. 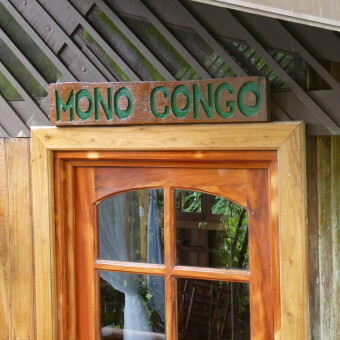 Or, we can arrange tours to the local attractions.